If you’re like me, you love avacados. I could eat them plain (and do quite regularly.) I slice them and add them to sandwiches and salads. 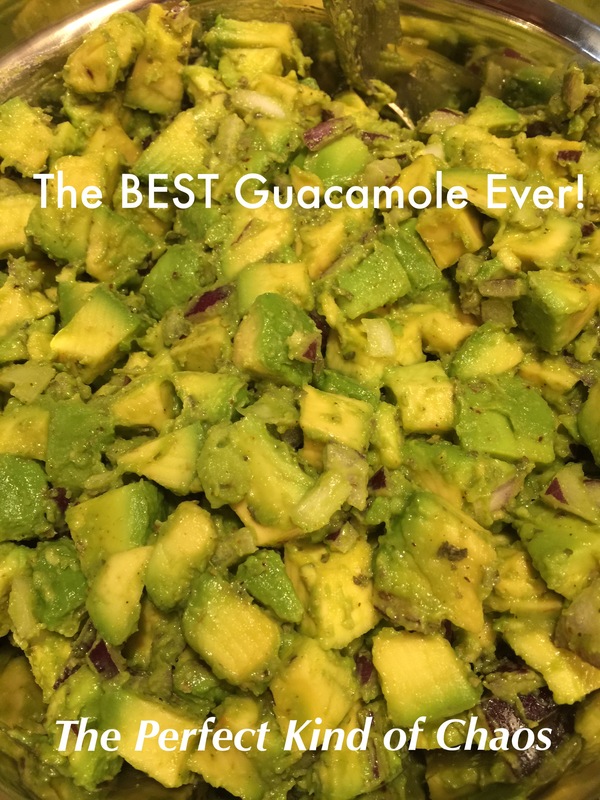 But my absolute favorite is guacamole! Today, after punishing my kids and making them clean (I know, horrible mother. At least they thought so. I mean, how dare I make them clean the house when the sun was out and it was a gorgeous day! My 8 year old diva’s words. 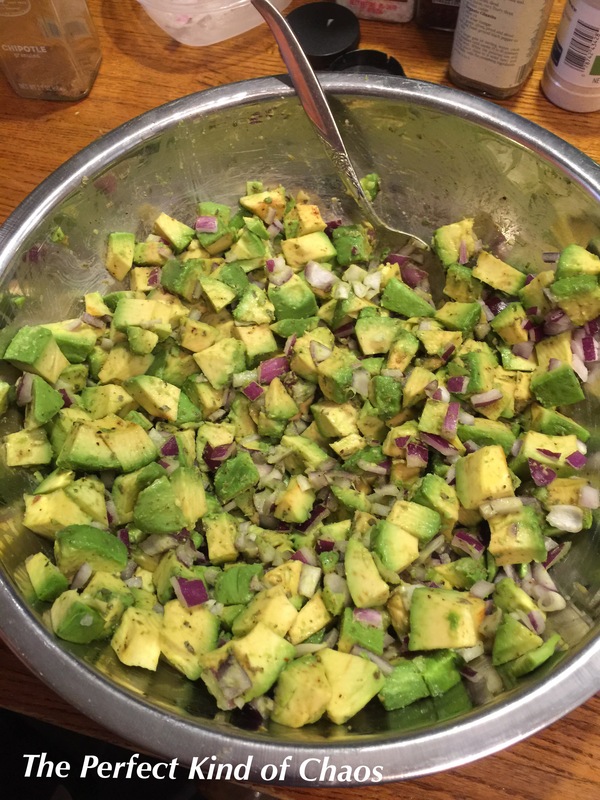 ), I DID let them go outside and then we came in and made guacamole as a snack. It was a hit and we, of course, made a giant batch, but that means more for me later when I watch some Netflix after their bedtime! ***No one in my house cares for tomatoes, so I do NOT add them, but if you like them, finely chop a small Roma or whatever you like and add them. 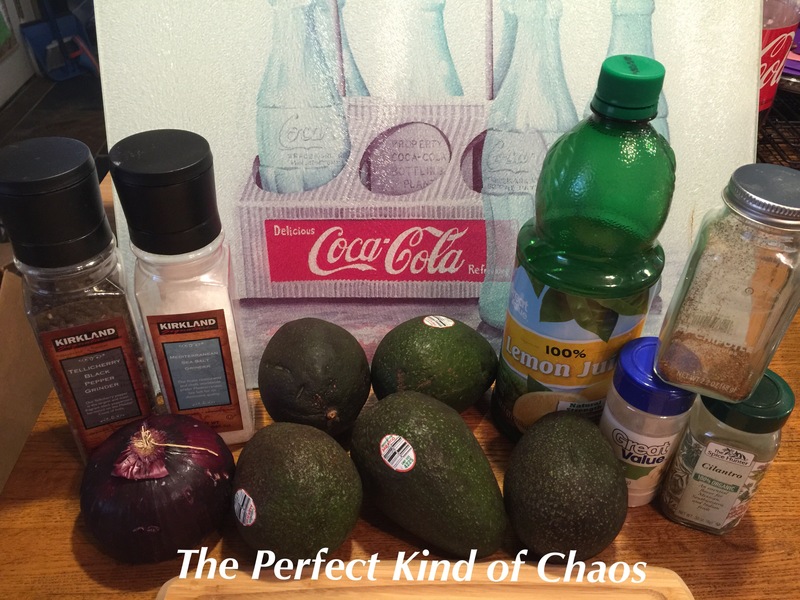 Dice avacados and chop onions. Add them to a large bowl. Add other ingredients. Stir, stir, stir. Adjust salt and pepper to your liking. 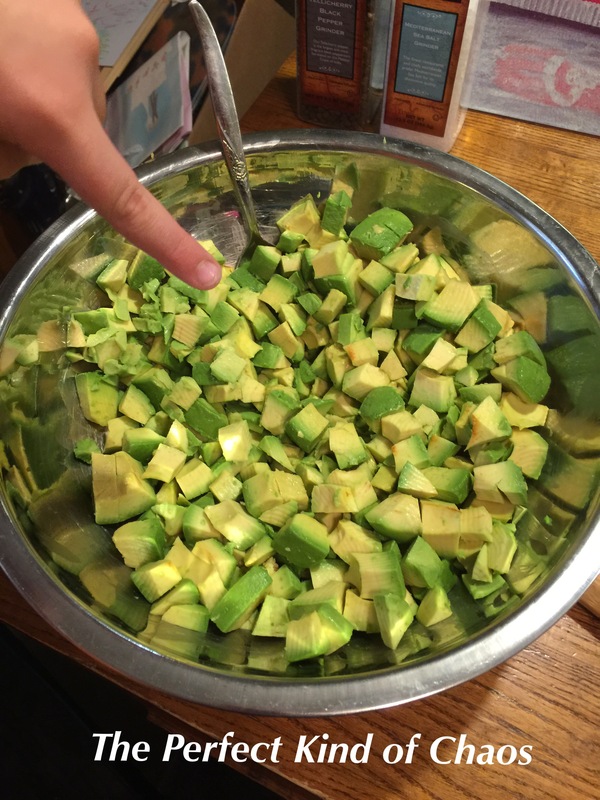 ***We like chunky avacados, so I do not really mash them, but if you like smooth and creamy guacamole, mash away. Can serve immediately or refrigerate overnight for the flavors to meld together. *Bet you can’t wait to devour it. It’s really THAT good.